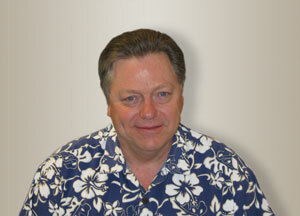 AR Modular RF has announced that Jason Kovatch has joined the company as a Development Engineer. His responsibilities will include creating and supporting all automated test systems as well as supporting amplifier system product development and testing. Jason brings extensive engineering experience to his new position at AR Modular RF. He began his career as an associate at the Jet Propulsion Laboratory in Pasadena, CA, where he worked on microgravity containerless processing technology. Also while at JPL, working for the NASA Deep Space Network, he was responsible for creation of cryogenic maser amplifiers and instrumentation used for deep space probe communications and research. Jason was the Cognizant Design Engineer for Ground Microwave equipment in the Deep Space Network until 1995, at which time he moved to Hewlett Packard as a custom systems engineer. He later worked in the Signal Analysis division of Agilent Technologies until joining AR Modular RF. In his spare time, Jason is a ham radio operator (his call is NJ7K) and he spends as much time on or near the waters of Puget Sound as he can. For more information visit www.ar-worldwide.com.